Sign up before January 31st and lock in at $229 per month! Make 2019 your year. Immerse yourself in yoga, wellness and community. Build new skills, start new habits and start living the life you have been longing for. Make yourself a priority in 2019. Improve your health and wellness in our 90-day challenge. Over the course of 13 weeks participants will embark on a transformative journey with support from staff, fellow challengers and teachers. This challenge is designed so that each week you will take a new step, build a new habit, create new ideas and learn with fellow participants to march towards creating a life you want to live for the long haul. Commit to 90 has been designed to help you establish a lifetime of positive habits. In a world full of fad diets, cleanses and detoxes we all know there is no quick fix. Heal your relationship with food, recover from chronic pain or an injury, alleviate stress and anxiety, regulate your blood pressure, and lower cholesterol. Anyone who is looking to improve their health or make changes in their life. Commit to 90 will be a great program if you struggle with stress, anxiety, anger management, chronic illness or injury, trauma or PTSD, disordered eating, depression, addiction, body dysmorphia or obesity. The kick off meeting and FREE information session (not a yoga class) will be at Sunday, February 10th at 12:30 pm. Come learn about the program, meet the staff and ask questions. Cost: $229 per month if you sign up before January 31st. 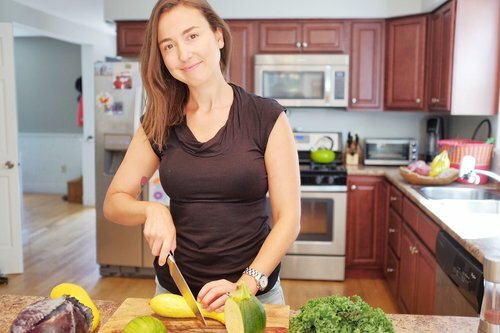 Our holistic nutritionist, will lead challengers through a nutrition program, focusing on a different topic each week. Erin will help participants work through underlying issues with food, heal disordered relationships with eating and help participants learn how to listen to their bodies again and fuel themselves with food. Erin is a holistic nutritionist who specializes in eating to heal chronic illness and autoimmune disease. In addition to the weekly nutrition topics, Erin will provide Live Facebook videos each week where you can get questions answered and receive guidance. She will moderate a private Facebook group for all challengers to connect, share information and ask questions. Stop dieting forever and start eating.